Bolivia's flag was adopted on 30 November 1851. It consists of three horizontal stripes of equal height, red, yellow and green. These colours symbolize, for the red on top, the blood of the soldiers who protected their country in many conflicts that have occurred in Bolivia, the yellow, the mineral resources of the country, the green, fertility of the country, covered by forest. Arms adorning the flag in the center, added by President Manuel Isidoro Belzu Humerez are very symbolic for the country. The Condor, national-symbol bird represents the endless horizon of Bolivia. Triumph, glory and peace are represented by the crowns of laurel and olive behind the Condor. The various weapons represent freedom and battles won for it. The central shield is a representation of Cerro Rico, a mountain known as �the rich mountain�, in reference to its rich silver field. 10 stars which complete this blazon recall the 10 provinces of Bolivia, wose department the coast, lost during the Pacific War in 1884. You can download it in different sizes, in a decidedly modern design for your personal use, or for wider use. Bolivia's flag is available in 4 different sizes. 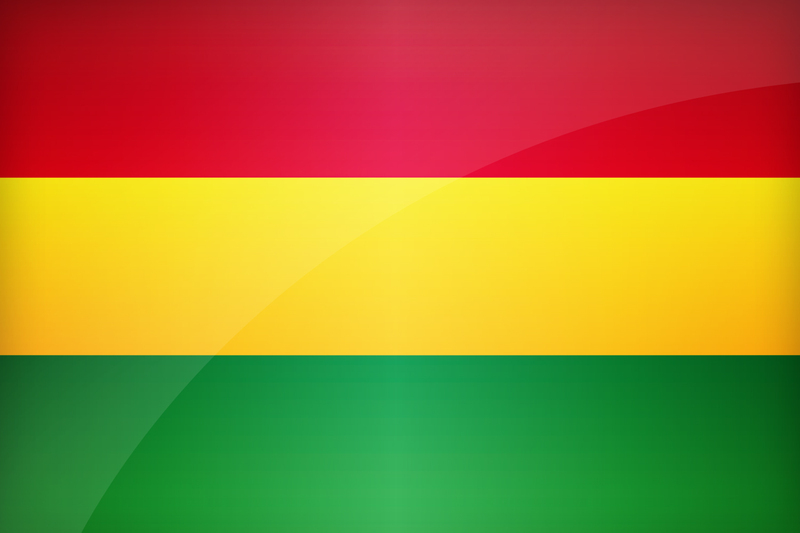 Keywords: Flag bolivia wallpaper, Bolivian, Plurinational State of Bolivia, National bolivian flag, banner, pictogram, country, icon, Bolivia icon, international, Sucre, Trinidad, La Paz, Cochabamba, South America. This page has been viewed 4254 times.